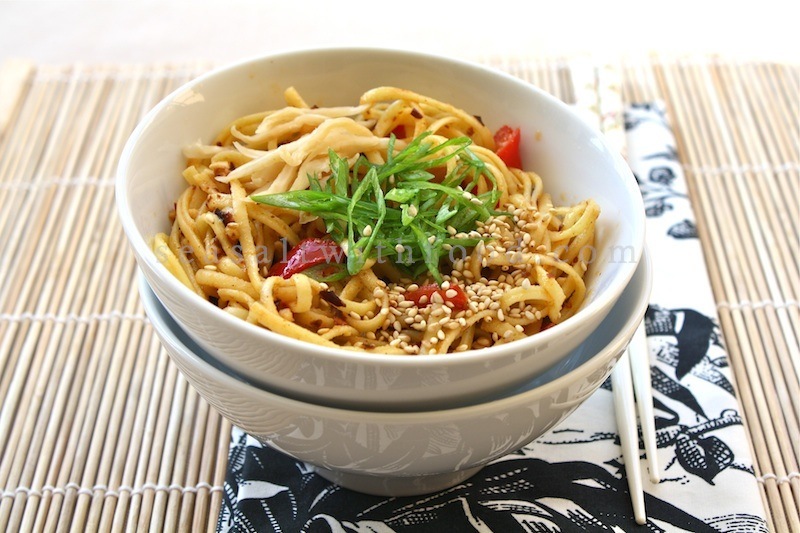 Okay, this is YueYang Hot-Dry Noodles recipe. Yueyang is located in northeast Hunan Province on the eastern shore of Dongting Lake, and it’s China’s second largest freshwater lake. 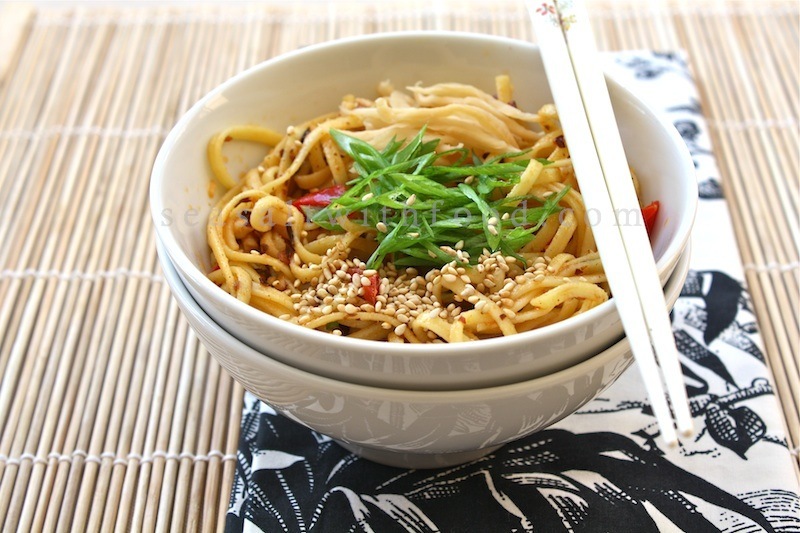 One of their popular street food is this dry noodle and I love it because, it’s so easy to prepare and taste really good too. Cook the noodles in boiling water until soft and supple and drain well. Put the noodles in a large bowl. Add in the chopped salted chilies, sesame paste, garlic, soy sauce, and chili oil and mix well. 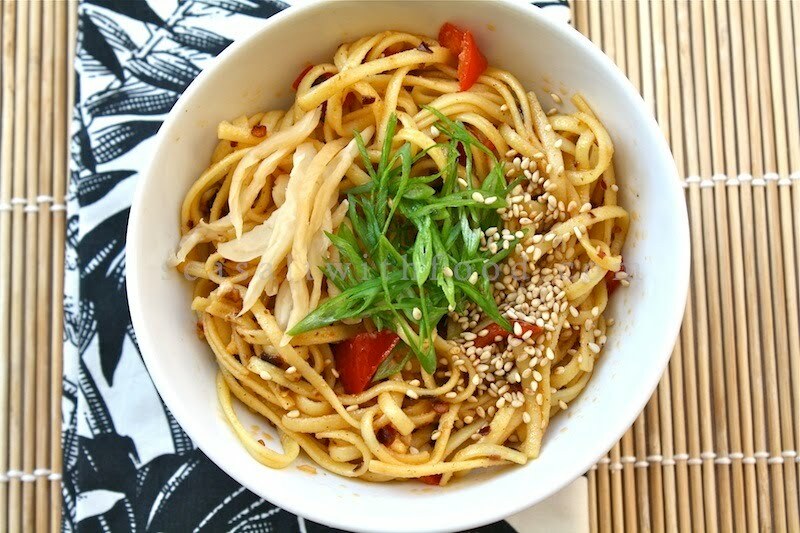 Divide the mixture into 2 serving bowls and scatter with mustard tuber (or peanuts), scallions, and sesame seeds. Stir with chopsticks before eating. this noodle look so refreshing and good! This looks delicious, I'd totally order it in a restaurant! Thanks for sharing. This sounds so good! I've never seen preserved mustard but I'll find some!